MAYVILLE – The Democratic Nominee for Chautauqua County Family Court Judge has received an unfavorable rating for a local judicial commission – despite the fact that she received a favorable rating just two years earlier. The Jamestown Post-Journal is reporting today that the Independent Judicial Election Qualification Commission has given Family Court Judge candidate Sally Jaroszynski an unqualified rating. In 2014, when Jaroszynski ran for a newly created family court seat, she received a qualified rating. The ratings from the commission are only given upon request from a candidate. When given a rating, the commission has the option of rating a candidate as highly qualified, qualified or not qualified. Jaroszynski is a local attorney who’s practiced law in family court for 25 years and also currently serves as justice for the Ellicott Town Court. She also served as one of the two Ellicott Town Justices between 2011 and 2015, when former court clerk Jennifer Piazza was found to have taken more than $34,000 in cash. It’s not known if the audit from the state comptroller’s office played a role in the commission’s unqualified rating. Jaroszynki is running against Fredonia area attorney Michael Sullivan and Sherry Bjork – who will square off in a Republican party primary next week. The current race for Family Court Judge comes after Judith Claire retired from the bench in June. 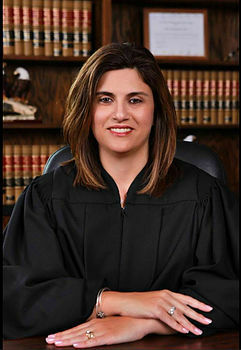 In 2014 Jaroszynski unsuccessfully ran for the newly created second family court judge seat, losing to judge Jeffrey Piazza in the 2014 November election.